Robin helps people heal with pets. 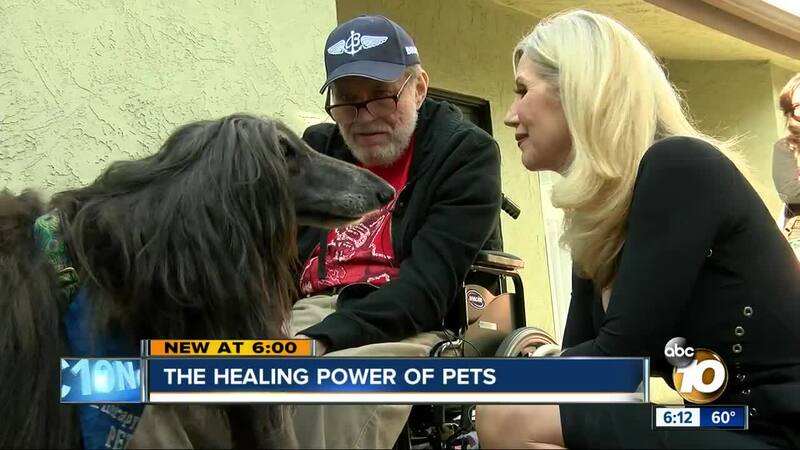 SAN DIEGO (KGTV) - A San Diego woman who changes lives with the help of animals is the 10News Leadership award winner. bringing animals to the elderly, the military and children. “We have people who have not spoken, and they’ll speak for the first time when our animals come in,” said Cohen. Cohen brings dogs, cats, rabbits, guinea pigs, birds, and reptiles on her visits to hospitals. “Since we’re all confined to our wheelchairs, it’s a way to be in touch with the outside world,” said Michael Long. Cohen gives credit to the many volunteers for making the 65 visits a month possible. She says the animals are at the very least a distraction, or something to love. “And then it goes deep where they truly heal someone’s heart,” Cohen said.